Make fairytales come true with this Limited Edition Snow White, inspired by the classic 1937 Disney film of the Brothers Grimm story. Dressed in her blue and yellow gown, touches of vibrant red are provided by the bow in her hair and the infamous poisoned apple. 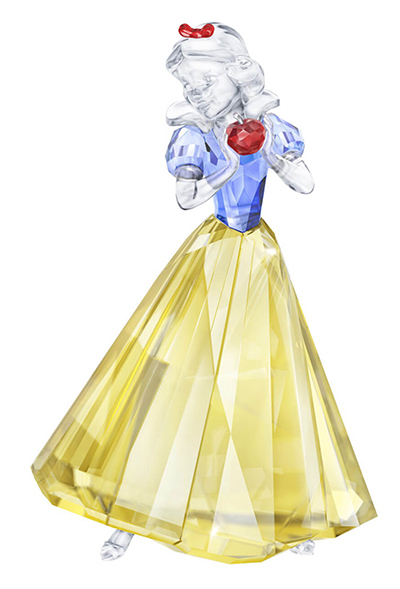 Another beautiful depiction of a Disney Princess to add to your collection, this is the second Snow White Swarovski has designed in our history, but our first in vibrant color. A must-have for collectors, especially when she is paired with the charming Dopey character, which is also available this year.